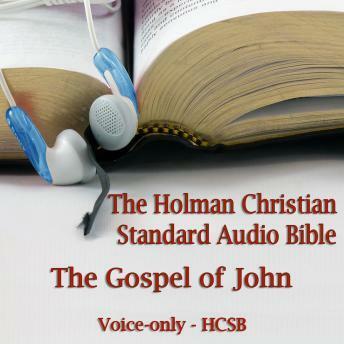 The Holman Christian Standard Bible is one of the most accurate and readable translations of the Scriptures, and the Gospel of John is one of the most fundamental books in the New Testament scriptures. Let professional voice artist Dale McConachie, author of over 100 audiobooks, take you on a narrated journey through John, where you will discover the Deity of Christ as the Son of God. Dale&apos;s goal in this recording was to make a simple but reverent audio copy of God's Word that you can take with you everywhere you go: while you commute, in the kitchen, or at the gym. You can easily access any chapter of John at any time. It is the reader's prayer that many will, "Let the Word of Christ richly dwell" in them.